The results of the Autobots Vs. 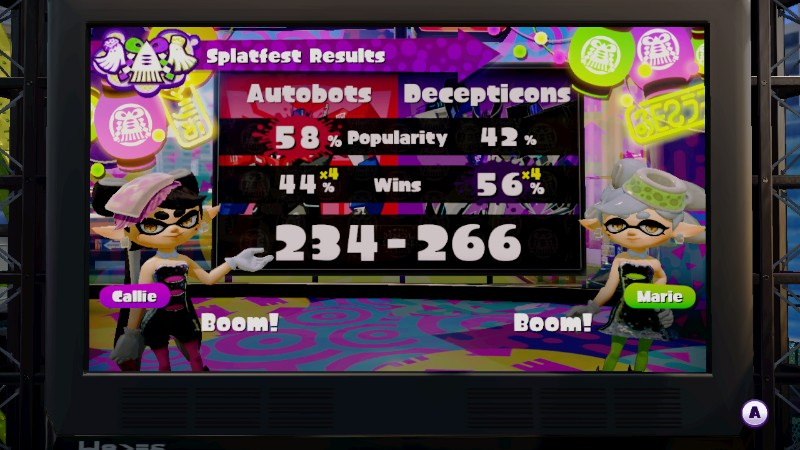 The results of the Autobots Vs. Decepticons Splatoon event are in, and obviously someone’s been paid off. Splatfest? This is bad comedy.